Rose coral(3 pt. 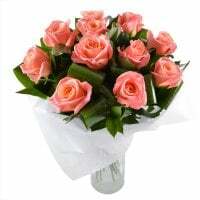 ), Carnation cream(3 pt. 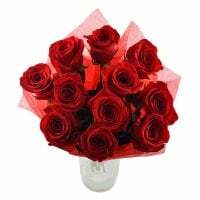 ), Rose spray red (2 pt. 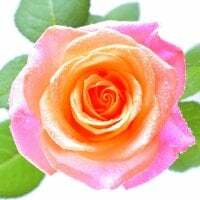 ), Rose shrub yellow(2 pt. 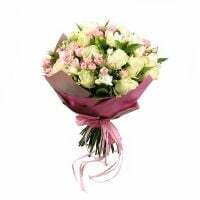 ), Alstroemeria pink(3 pt. ), Packing(2 pt. ), Tape(1 pt. ), Brassica purple(2 pt. ), Greens(3 pt.). 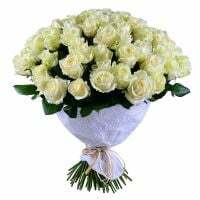 Birthday, For her, For young lady, I Miss You, Recover, Sorry, Wedding Day. 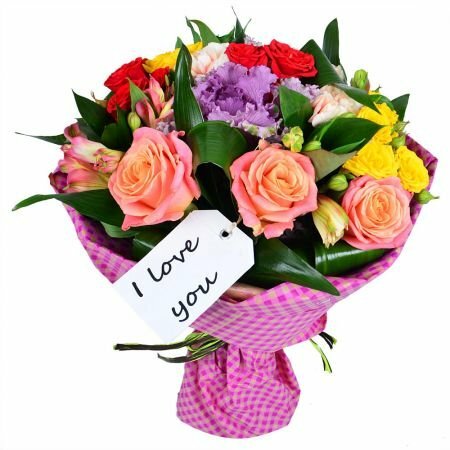 The bouquet consists of pink alstroemerias, different sorts’ roses, brassica, greens, stylish packing and a tape. The main color is a coral. If you want bigger bouquet you can change equipment for VIP. 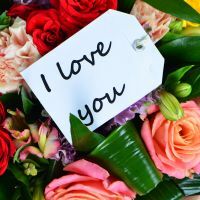 This gift — is one of the ways to show your real feelings to your woman. It looks gorgeous and so amazing. 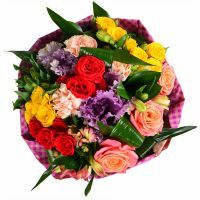 Just look at this bouquet! 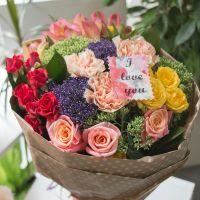 Bouquet «I love you» — is a nice compliment to your beloved. 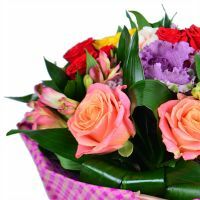 After receiving such a gift is guaranteed happiness in eyes and positive mood in a smile. 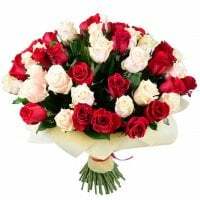 It’s a good idea to present this bouquet for 14th of February, 8th of March, Birthday. Just send this bright bouquet — it says everything for you. I used their service for the first time and it is trustable. Manager response: Thank You Amit Yadav for using our service!! We hope You will use the service of our company in future. Thank you for your efforts to deliver on my behalf. I will certainly use you again in the future. Manager response: Thank you! Always welcome! Happy to assist our dear clients! Have a great day!